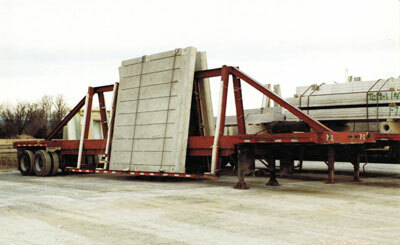 Today, Charles W. Karper, Inc. operates a fleet of diversified equipment of over 60 trucks and over 200 trailers between certified points, with the greatest concentration of equipment dedicated to the hauling of pre-stressed-pre-cast concrete, prefabricated steel, construction equipment, building products and other areas that require specialized and over dimensional hauling. This equipment works primarily within a 300-mile radius of Chambersburg, Pennsylvania or Winchester, Virginia. The company operates its own fleet maintenance shop at both terminals. Throughout the period of growth and development, the loyal and dedicated help of our drivers and office staff has been inspiring. We continue to look for areas to expand that are consistent with our plans. 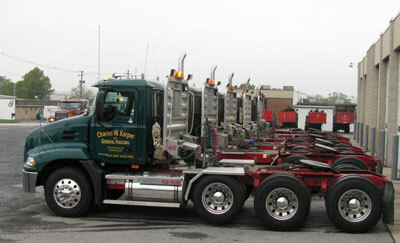 Stretch trailers to 85 ft.